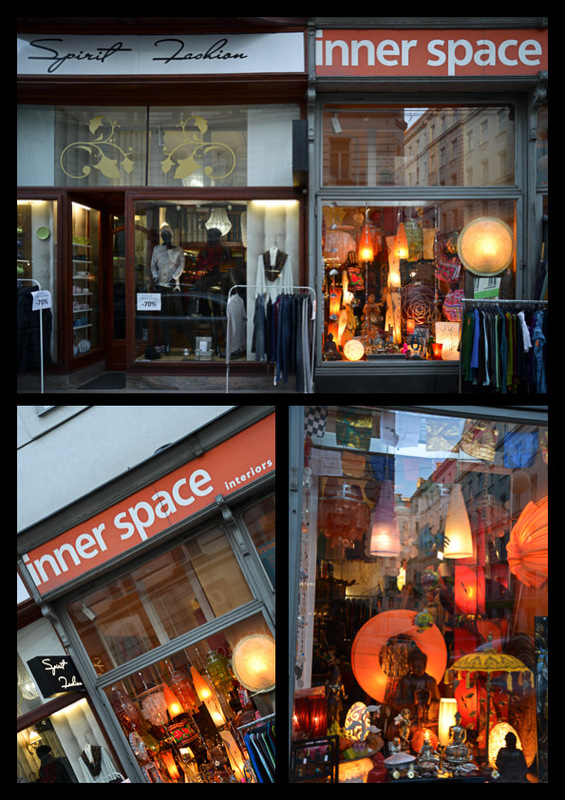 A walk through Vienna’s small neighborhood shopping streets. Shopping streets are lifelines of cities and their neighborhoods, providing the surroundings with stores to do their daily and not- so- daily shopping, to sip on a cup of coffee or a beer while meeting friends. Just like neighborhoods, shopping streets change over time, altering both their appearance as new shops open up and old ones close down. 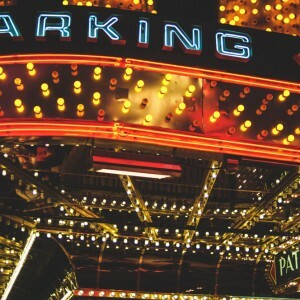 Most often, the transformation of a shopping street is connected to gentrification (Zukin 2008, 2009), so that the mix of stores and cafés mirrors the clientele frequenting the street. Decline and revival manifest not only in the mix of shops but as well in the design of shop fronts. Old and new, derelict and renovated can be right next to each other on the same street, offering a glimpse into long gone times of small-scale shops, specialized on sewing, lamps, household goods etc. 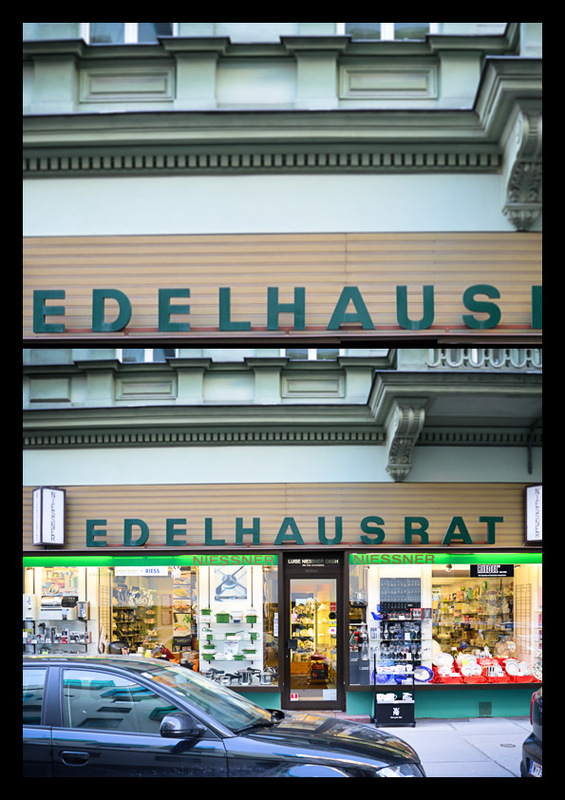 What makes these old storefronts so particular is their often old-fashioned terminology for the sales items or the profession, such as in the following picture: the term ‘Edelhausrat’ (means ‘premium household goods’) is as old as the design of the store, and is hardly used by people under the age of 75. Edelhausrat, a window into old shopping times (picture by Cedric Mayer). Remarkable as well the simple terminology for the store name: ‘Edelhausrat’ is very straight forward describing the items sold rather than a brand name, not to speak of a fancy logo. A reminder of a time when shopping was a necessity rather than a leisure activity. 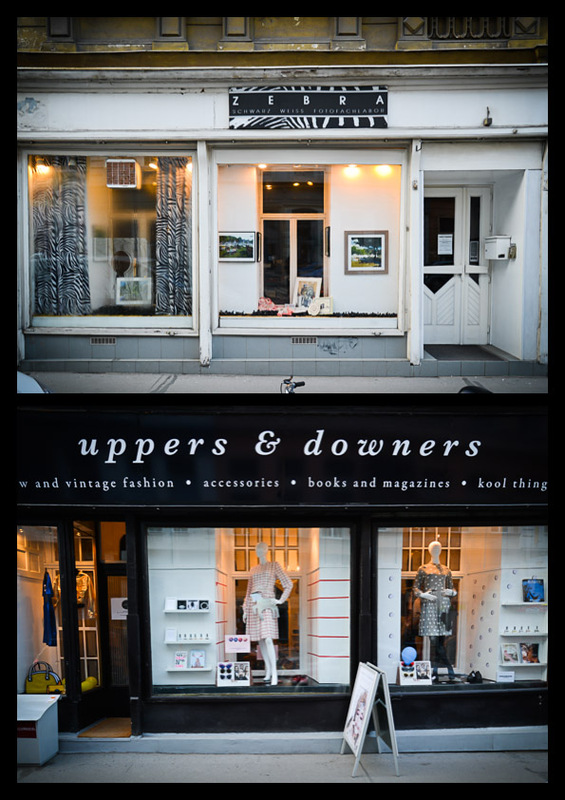 New and old shop fronts, side by side (picture by Cedric Mayer). 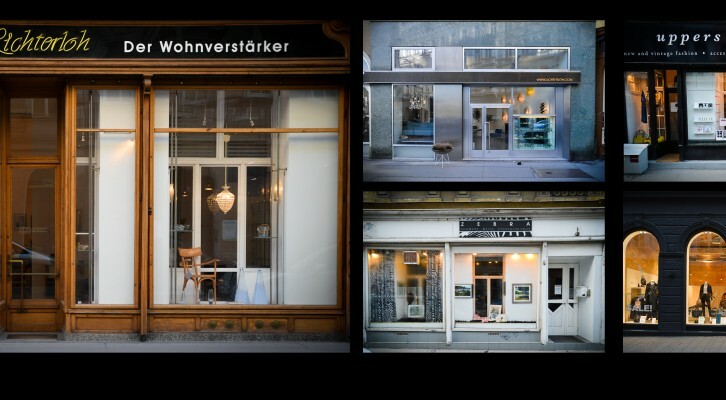 Vienna has quite a few such shopping streets close to the city center in now hip and booming neighborhoods like Margareten, Josefstadt or Neubau, where Vienna’s hipsters and bobos live and shop. Many of the streets there have recovered and have a very diverse shop structure. Most notably these are Josefstädter Strasse, Gumpendorfer Strasse and Margaretenstrasse, together with some smaller side streets. Many streets were in decline in the past decades, and the city government started initiating various campaigns and improvement initiatives. Today, some shopping streets in more remote neighborhoods are still less prosperous and part of Vienna’s neighborhood improvement scheme called ‘Gebietsbetreuung Stadterneuerung – Gbstern’. 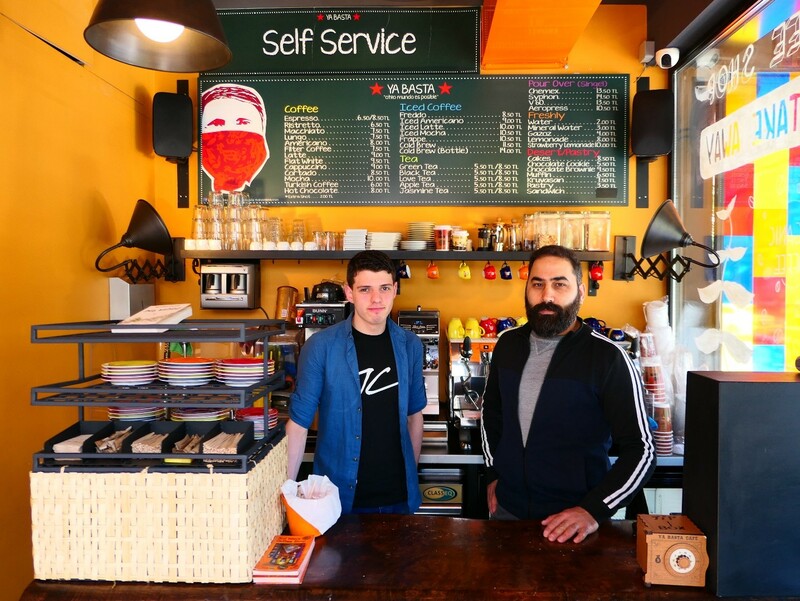 The reuse of empty stores is one of the focuses in their agenda. Together with the online portal ‘Wiener Einkaufsstraßen’ funded by the Chamber of Commerce, shopping streets in Vienna are promoted and information is offered on every shopping street in the city. 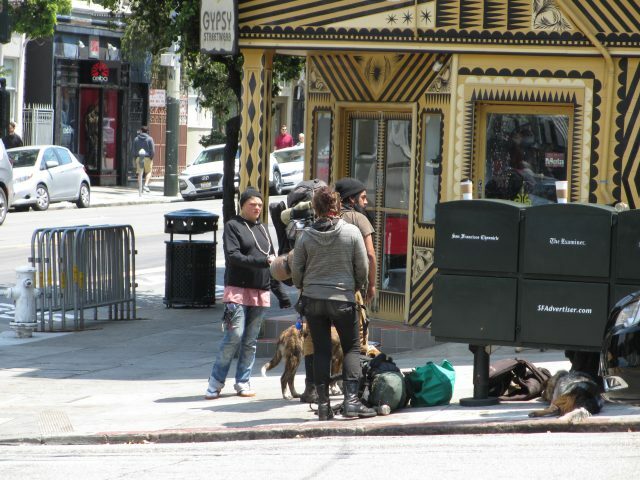 However, not all shopping streets are equally dependent on active marketing, some are able to maintain a diversity of shops, as we see in the pictures of this article. Factors such as a favorable location and rather wealthy demographics are behind their positive development. 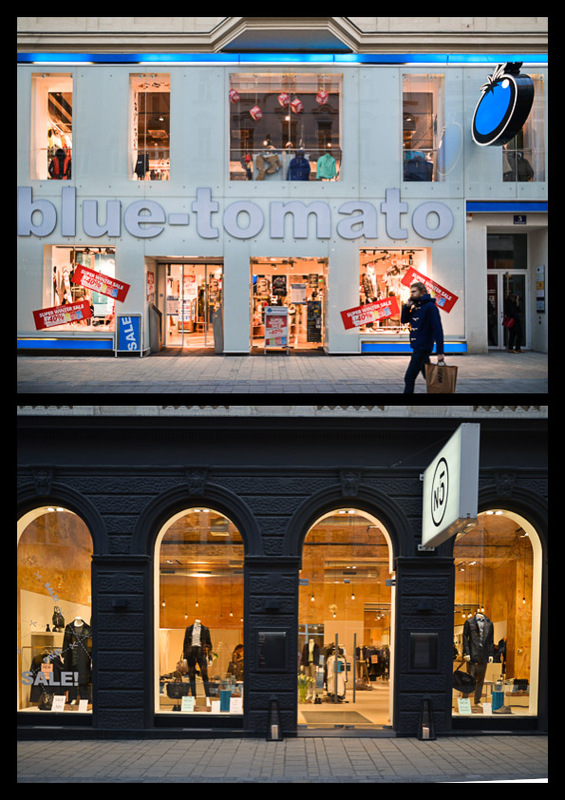 Classic and modern facades merged into one shop design (picture by Cedric Mayer). It is the mix of old and new, of derelict and used shops that differentiate these shopping streets from the touristy shopping areas in Vienna’s city center and the now pedestrian- only Mariahilfer Straße with its big shops and large retail brands. Streets such as Josefstäder Straße or Gumpendorfer Straße managed to keep a unique character thanks to the smaller shop structure and a more local orientation, offering a window of opportunity to escape globalized big shopping streets and dive into a world designed in 50s or 60s chique or even older. New life in old shops: where the past meets the present (picture by Cedric Mayer). The coexistence of shop fronts dating back to the 1950s or earlier next to modern store fronts are beautifully diverse signs of a living city, slowly changing over the decades and adjusting to new preferences by reusing old design elements. It seems that life, death and resurgence of shopping streets are represented by the diversity of its shop fronts. 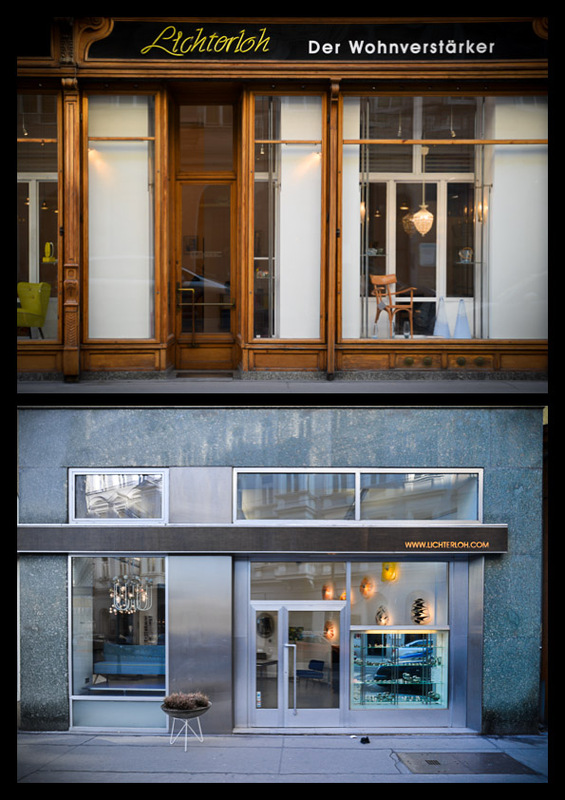 Special thanks to the photographer Cedric Mayer for shooting and editing the above collection of storefront pictures. See more of his work and contact him here.